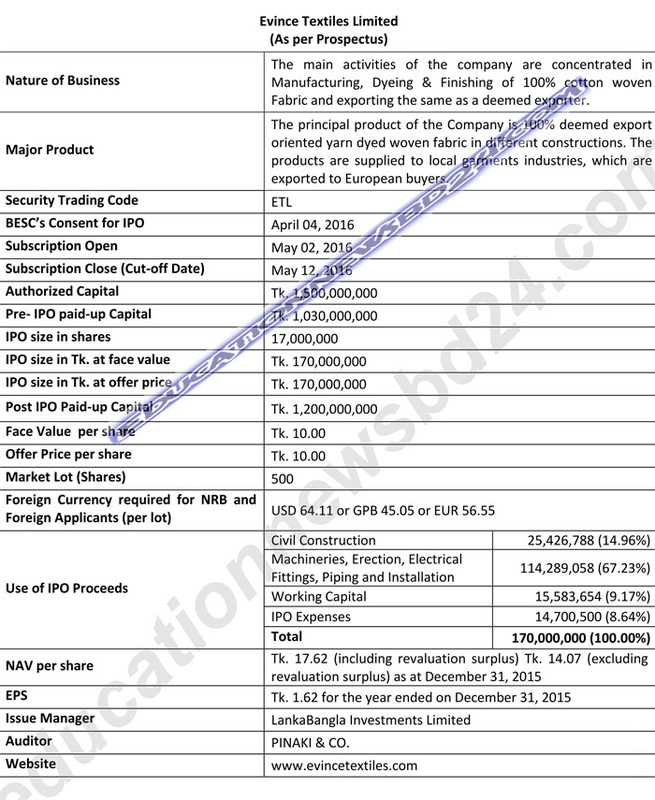 Evince Textiles Ltd IPO Lottery Result found here. Download Evince Textiles Ltd IPO Lottery Result that has been published today on 02 June 2016. 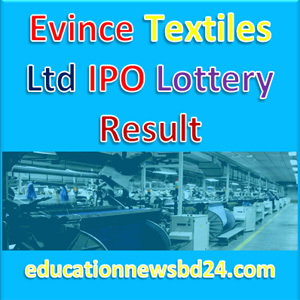 Evince Textiles Ltd IPO Lottery Result or Lottery draw has been published on Thursday, 02 June 2016. Place: Raowa Club Community Center, Mohakhali, Dhaka. Time: 10:00 A.M. Total Applied 33 Times. Public offer for application of Evince Textiles Limited IPO was from 02 May 2016 to 12 May 2016. IPOs are often issued by smaller or newer companies seeking the funds to expand, but can also be done by large privately-owned companies looking to become in public traded. In this way, a private company converts into a public limited company. The commercial operations of the company started on 02 May 2003. The Company is promised in the business of manufacturing and selling of 100% deemed export-oriented yarn dyed woven fabrics. The Company promise to be the most respected organization in the apparel and textile industry of Bangladesh by producing exceptional quality products to their customers at reasonable prices, while maintaining a moral business culture so that the communities in which we operate, as well as the economy at large are benefited.